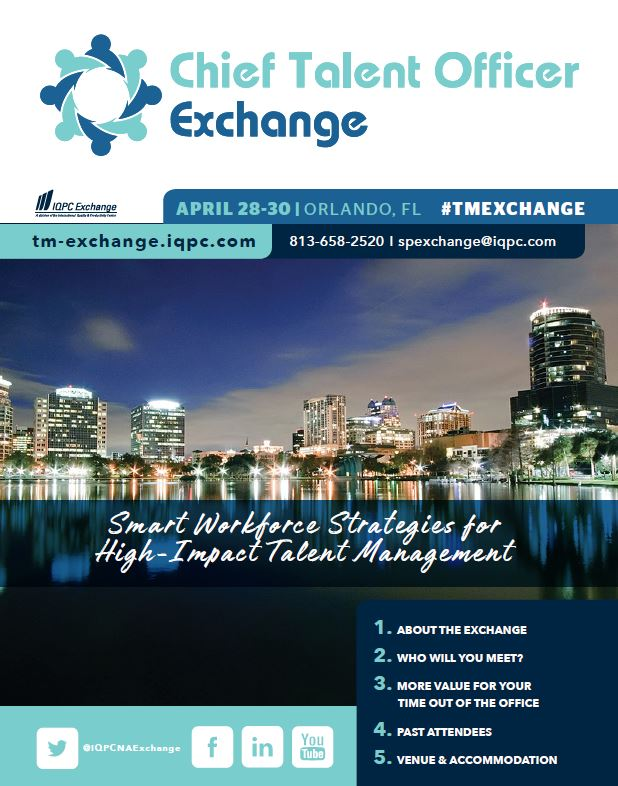 See what's in store for the 2019 Chief Talent Officer Exchange in Orlando, FL. This edition will focus on Smart Workforce Strategies for High-Impact Talent Management. This year's speakers include the Heads of Talent from Cisco, MGM Resorts, Shell, Overstock.com, and many more! Contact us on 813-658-2545 or email spexchange@iqpc.com now!